When we first introduced the head-turning S3L System, the industry took notice and soon embraced it at major festivals, clubs, and tours for the sheer sound quality, power, and mixing creativity it brought to any size performance space. And now we’ve made it even better. With the VENUE | S3L-X System, you get even greater versatility, reliability, and value for the stage, studio, and beyond. 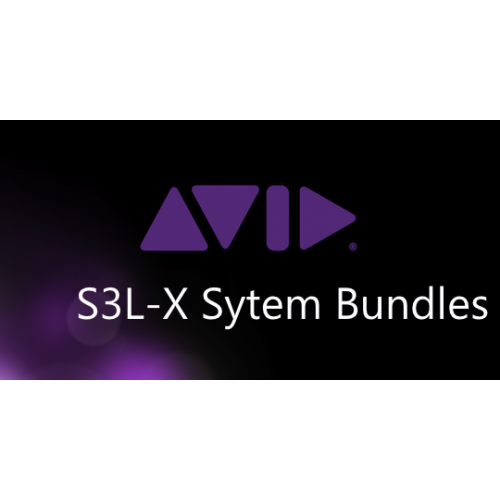 Like S3L, S3L-X is a highly scalable, Ethernet AVB-networked modular system that enables you to mix and record live shows with incredible efficiency. And now with S3L-X, you can streamline FOH, monitor, and broadcast workflows by sharing the same I/O across multiple S3L-X Systems, with full automatic gain compensation. Plus, you can set up a mobile recording/mixing studio using just the VENUE | S3 surface and Pro Tools | Software on a laptop, making VENUE | S3L-X the most versatile system in live sound.